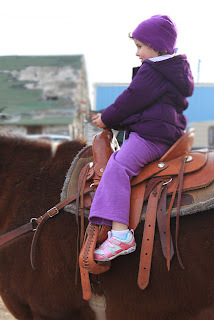 I don't think a girl ever forgets her first horseback ride. 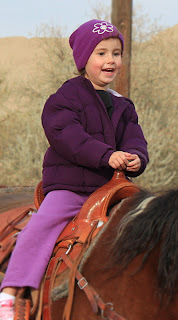 Addy got her first horse -not pony - ride today, as a pre-birthday treat at a friend's ranch. Shamrock, 'Rock' for short, was a perfect gentleman. And Addy was in heaven. 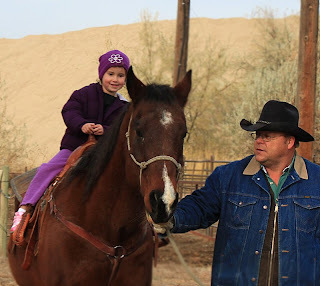 She didn't hesitate for a second when it came time to get on Rock's back. Notice how short the stirrups are? And how her feet still don't reach them? 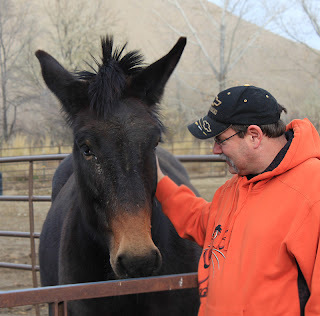 Shamrock's best friend is Martha the Mule, who is blind in one eye. Addy liked Martha - but from a distance. No petting here. 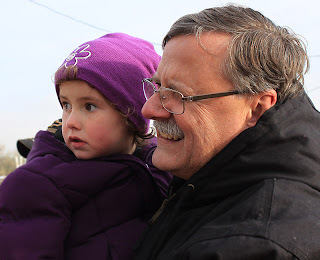 It was cold at the ranch but Addy would happily have stayed on Rock's back for the rest of the day. 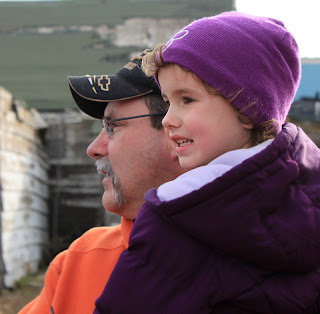 Get ready Daddy, I see at least one horse in your future!